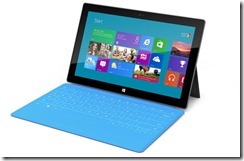 You are here: Home / General / Microsoft Surface: Is it Really a Game Changer? 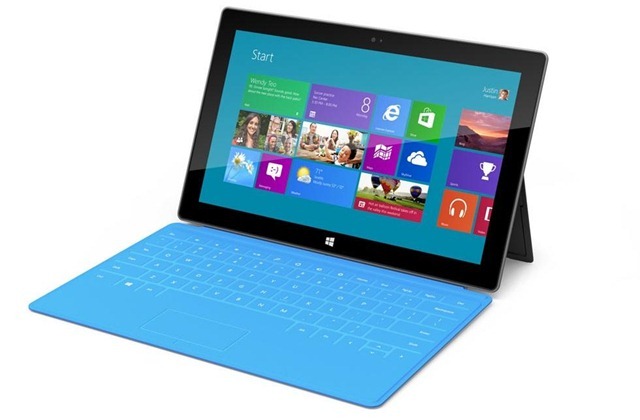 I watched the Microsoft Surface announcement, and like many I found it intriguing. It was definitely a “Big Deal” sort of moment seeing Microsoft introduce its own hardware, although I was briefly taken back to the Zune, which absolutely killed the nascent Microsoft PlaysForSure music industry (more on that in a bit). However, as huge as this seems on the surface (seriously, no pun intended), I’m a bit surprised by just how big a deal the tech media is making about the whole thing. Yes, Surface seems nice, with some interesting features and accessories, but in calling it so much more innovative than anything else out there makes me think some reporters aren’t aware of the Computex show from a few weeks ago. Did he miss the fact that ASUS, for example, also introduced some pretty innovative and interesting hardware? The TaiChi, for example, with its dual IPS panels and active digitizer/pen looks pretty innovative to me, even if a little impractical. The Transformer 600/800 ARM/Windows RT devices carry on the same innovations introduced with the Android-powered Transformer machines that offer a comfortable, “real” keyboard, extra ports, and a hefty battery. 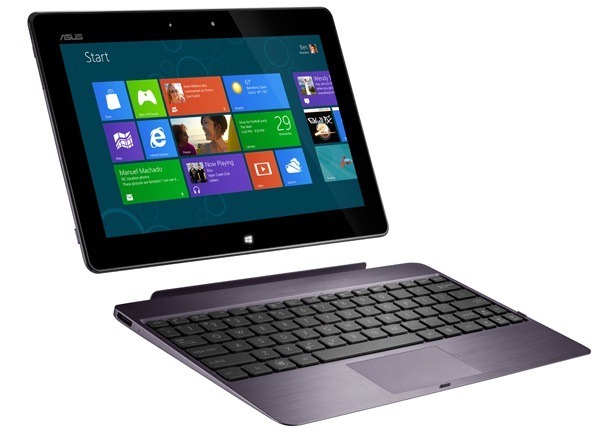 And the Transformer Book makes the same excellent and highly productive form factor available to Windows 8, also with an active digitizer and Intel Ivy Bridge inside. That seems like a lot more than “vaguely differentiated” to me. 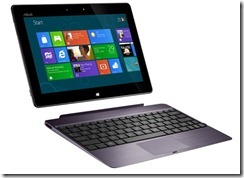 What exactly about the Surface is so much more exciting than what ASUS has shown us? The keyboard covers? Sure, those are nice and thin and integrated with the tablet, but they can’t possibly provide a very good typing experience. They’re convenient, sure, but personally I’d rather use a heftier keyboard that I can type on for long periods of time without cramping my wrist and causing significant fatigue. Anyone who’s typed on a flat keyboard with minimal travel knows that I’m talking about, and Microsoft knows this—they make a line of ergonomic keyboards that avoid exactly the same problems created by their own keyboard covers. Is it the magnesium case? Sure, that’s interesting, but is it so much better than aluminum that it represents a whole new class of machines? I’m not sure that it does. If I’m missing something, be sure to tell me in the comments. My point isn’t that there’s anything wrong with Surface, or that it’s a bad product (certainly, it doesn’t look like one), but rather that all of the doom and gloom around what this means for Microsoft’s hardware partners seems a bit overhyped to me. There’s plenty of room for product differentiation, and I think ASUS is an example of a company that’s already shown enough to have proved it. To relate back to my earlier point, this shouldn’t be a repeat of the Zune fiasco, because in that case Microsoft killed a platform (PlaysForSure) that many of their partners were building businesses around. Here, Microsoft is augmenting the platform, not ripping it out and replacing it with something that only they can sell. It seems to me that Microsoft has basically duplicated Google’s Nexus program. Surface will serve as a reference platform and to push other Windows 8/RT tablet makers to make better and better products. The media hype might hurt those other companies in the short term, but over the long term I think Surface will represent about as large a share of the market as the Google Nexus does in terms of the Android smartphone market. That is to say, not so much. The face that Microsoft will be selling it exclusively (so far as we know) in Microsoft Stores and online means that the rest of the usual retail market will be owned by the OEMs. The tech media does this sometimes: they overhype products to generate clicks to their Web sites. It’s the game they feel they have to play to be successful, and nothing generates clicks like controversy. In reality, I think Microsoft has done a smart thing, but they haven’t done anything Earth-shattering that’s going to change the Windows market forever. And, they better not hope they’ve done that, because I don’t believe for a second that they could take on Apple all by themselves and survive as a profitable company. We’ll see what happens, and the whole Windows 8/RT platform introduces some real uncertainty for anyone looking at buying a new tablet. The choice is no longer between the iPad and one of the many Android tablets being released, and Microsoft accomplished something in generating some hype. But personally, my choices remain just as wide as they were before the Microsoft announcement, and I’ll be looking at everything from everyone before I make my own decisions.